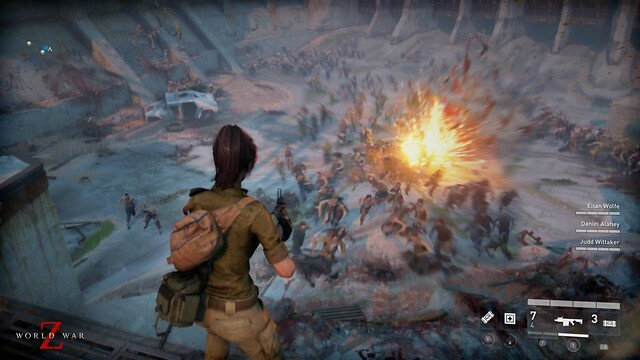 Saber Interactive and Focus Home Interactive have just released the new launch trailer for World War Z, the highly anticipated action-packed co-op shooter inspired by Paramount Pictures’ blockbuster film. Take a look at the explosive Launch Trailer, set to the song “War” covered by Black Stone Cherry, and prepare to outlive the dead in only four more days. Holy LFD2, much Dead Rising! Looks like a fun title. I plan to pick it up, I just don’t think I’ll spring for $60 at launch. I will wait for the bargain bin price. Day’s Gone and Rage 2 are my next full priced titles for sure.